On a recent Friday morning, eggs, figs and other vegetables and fruits were being placed on the back of a small truck destined to be sold at a farm stand in the parking lot outside of the Senior housing block in the Carmelitos Public Housing Community in Long Beach, CA. 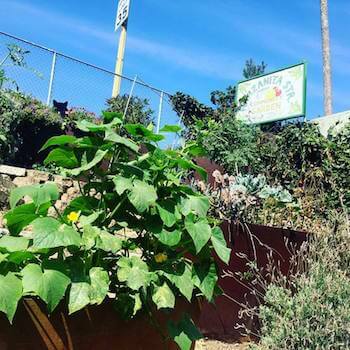 The produce was grown on site at The Growing Experience (TGE), a seven-acre urban farm in North Long Beach that is located on a previously vacant lot that is part of the same housing complex. Megan Penn, co-founder and executive director of Orange Home Grown will be speaking about community development and local food systems at the upcoming Grow Local OC Conference on Nov. 10-11 at Cal State University, Fullerton. The Grow Local OC Conference: The Future of Urban Food Systems slated for Nov. 10 – 11 at Cal State University, Fullerton is excited to announce that Megan Penn, co-founder and executive director of Orange Home Grown Inc. will speak to conference goers on the community development benefits of supporting a local food system in Orange County. As a co-founder of Orange Home Grown Inc., which started in 2009, Megan is passionate about providing access to locally grown food, working to improve the local food system through education, and developing opportunities that create “community” here in Orange County. Orange Home Grown Farmers & Artisans Market is the lone farmers’ market in the City of Orange, and despite its success over the past seven years, Penn and her co-founders realized that so much more could and needed to be done to strengthen the local food system in city. “The farmers’ market was not enough,” she told Grow Local OC. More community involvement was needed, and this realization led to the natural evolution into Orange Home Grown, which focuses on education, collaboration, camaraderie, advocacy and more. Among Orange Home Grown’s numerous initiatives is a new seed lending library, in partnership with the City of Orange Public Library. It launched on March 19, and offers free seeds to participants. The expectation is that seed borrowers will replace the seeds with new seeds resulting from their harvest. Another project that the organization recently launched is a community farm, the OHG Education Farm, the first of its kind in Orange. Orange Home Grown is partnering with Chapman University in this endeavor. 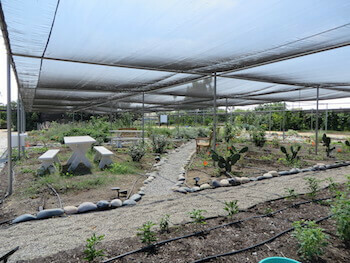 According to OHG’s website, the purpose of the OHG Education Farm is to create education around the local food system. As residents seek to have more input into how their food is grown, how it is treated after being harvested, and how it moves from one place along the food route to another, this community urban farm becomes a means to increase access to education around locally grown food and a way of reintroducing the public to the many aspects of food that we have lost as a culture. Fruits, vegetables, flowers, and herbs produced from the education farm may be donated or sold to local Orange restaurants, sold at the OHG Farmers & Artisans Market, or sold to schools for use in their lunch program. To hear Megan speak and to learn more about Orange Home Grown’s effort to build community by fostering a robust local food system in Orange County, register now for the upcoming Grow Local OC Conference: The Future of Urban Food Systems set to take place on Nov. 10-11 at Cal State University, Fullerton. “In Orange County, the local food system is not good at all—it’s behind the times,” says Megan Penn, co-founder and executive director of Orange Home Grown. Penn and the organization she leads are working hard to remedy that. Penn was raised in the City of Orange, but it was not until she went to college at Cal Poly San Luis Obispo that her eyes were truly opened to the wonders of local and sustainable food and agriculture. “There was a fabulous farmers’ market which was part of my college life,” she says. Upon returning to the City of Orange, however, Penn noticed the lack of farmers’ markets and locally-produced food.